Good morning, friends! Welcome to the Grace at Home party, where we celebrate the ways we make our homes places of grace. Here are some posts from last week's party that caught my eye. Easter is fast approaching, so I was tickled to see how Lori from Dining Delights decorated her kitchen sideboard for Easter. If you're doing some Easter decorating, you'll be glad to see how Lisa from Fresh Vintage by Lisa made these "He Is Risen" blocks from Dollar Tree supplies. If you're looking for some Easter crafts to do with kids, Leslie at From Playdates to Parties has you covered. 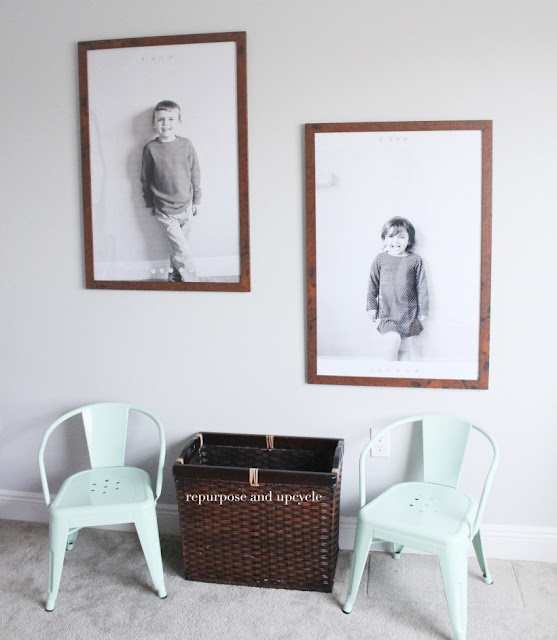 Lindsey from Repurpose and Upcycle wrote a tutorial for how to make oversized portraits on the cheap. You know you'll be taking photos of kids at Easter; here's how you can display them. If you're planning a special Easter breakfast or brunch, you might want to make these adorable lamb cinnamon rolls from Jas at All That's Jas. My kids would love these! 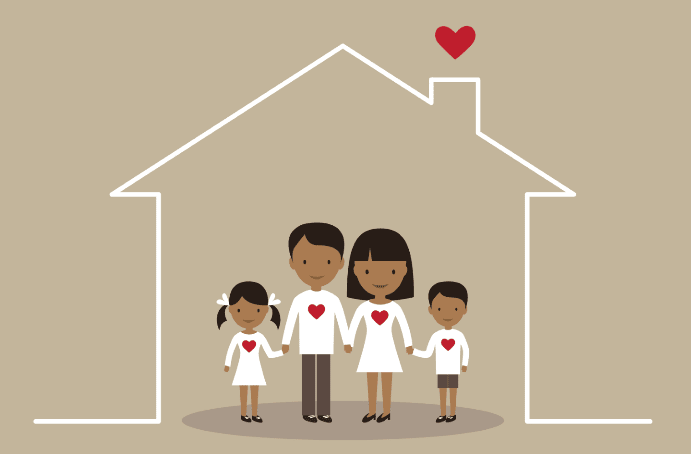 Be sure to read "With Jesus, Your Home Is More Than Enough" from Tiffiney at Welcome Home. You don't want to miss this inspiring post! Always so much inspiration! Thanks for hosting! Love that article by Welcome Home...and that cinnamon roll lamb!! Yikes --- that idea is a keeper!! Enjoy spring, Richella!! Love your features - so springy and Easter. Have a great week and thanks for hosting a GREAT party. So honoured to be chosen as a feature! 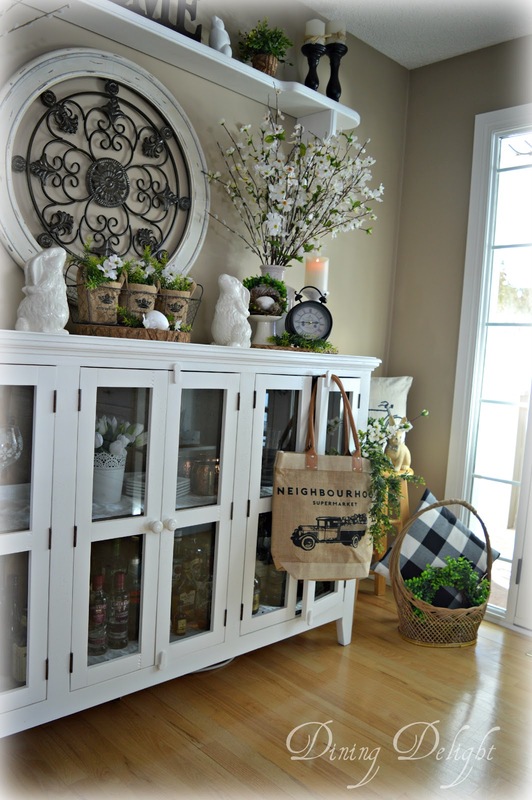 Thanks so much for highlighting my Easter Kitchen Sideboard and for hosting this wonderful party each week. Appreciate all your efforts! Just in from a snowy walk with the dog . . . but happy spring anyway! Hi Richella! Thank you so much for the feature. I just love partying here! So much motivation for making my home a place of grace. 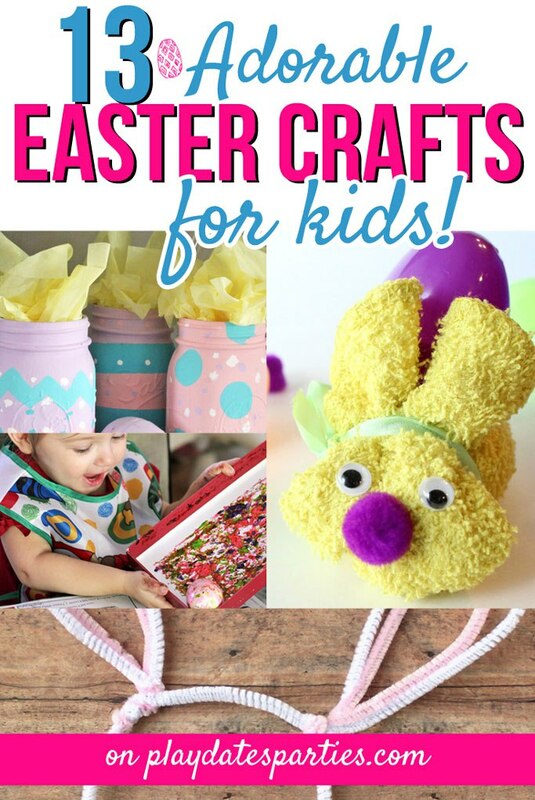 And check out all the Easter inspired decorating posts...I still haven't put up my Easter/Spring decor - there's snow all over the place! Happy 3rd day of spring! 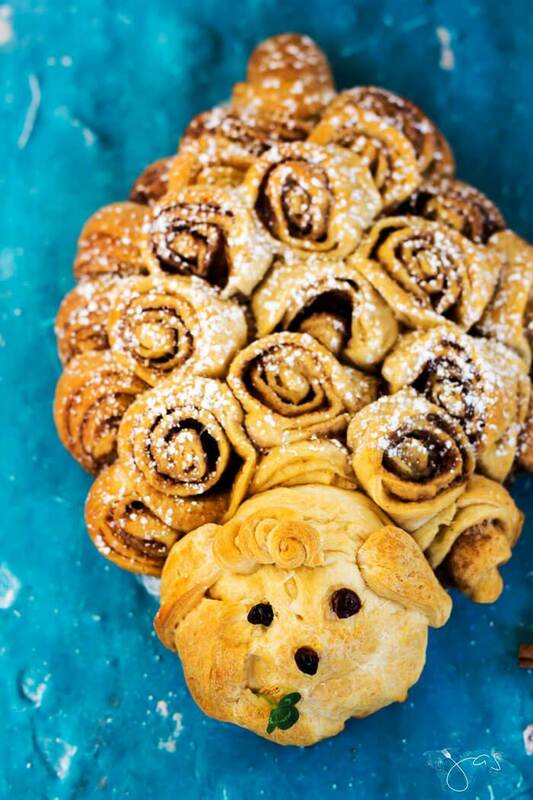 I'm delighted that you included my lamb cinnamon rolls in your wonderful features, Richella! Thank you much! Hope you’re having a great week. Thanks for another great linkup! I've already pinned several things. Blessings to your family as we begin Holy Week.